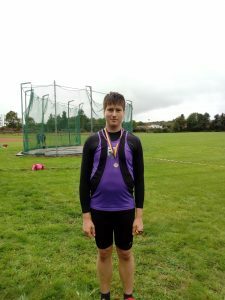 The Mr Oil County Throws Championships took place last Saturday afternoon at DMP’s grounds on Sinnottstown Lane, Wexford. With the track & field season well over and the indoor season still a few months away the day presented an opportunity for athletes to flex their muscles in a competitive environment without engaging in any heroics. 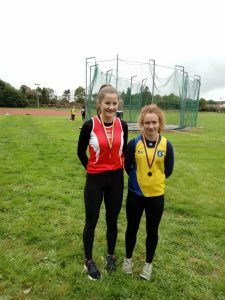 The programme consisted solely of Discus and Hammer events both for Senior and for the older underage categories (U15 to U19). While the number of athletes competing was relatively few the quality was top drawer with all of the young athletes competing having left their mark on the national stage earlier in the year. International DMP athlete Lystus Ebosele was particularly impressive in the manner with which she took both U18 and Senior Discus titles. 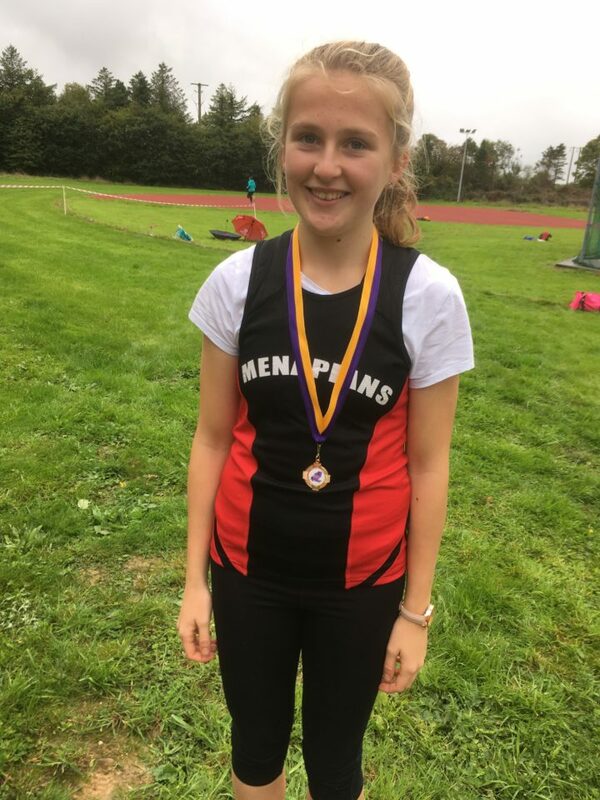 Indeed the latter event was arguably the most exciting of the day as, while Lystus’s victory was never in doubt, a right ding-dong took place behind her between Éadaoin Stafford (Adamstown) and Amy Forde (St Killian’s). The Silver ultimately went to Éadaoin. Nor was Lystus the only multiple title winner with the aforementioned Amy Forde (U19 and Senior Hammer) and Padraig Hore (Taghmon) (U19 and Senior Discus and U19 Hammer) also shining. U17 Discus – 1st Blanaid Fogarty (Enniscorthy) 21.46m, 2nd Hannah Roche Kelly (Taghmon) 14.55m. 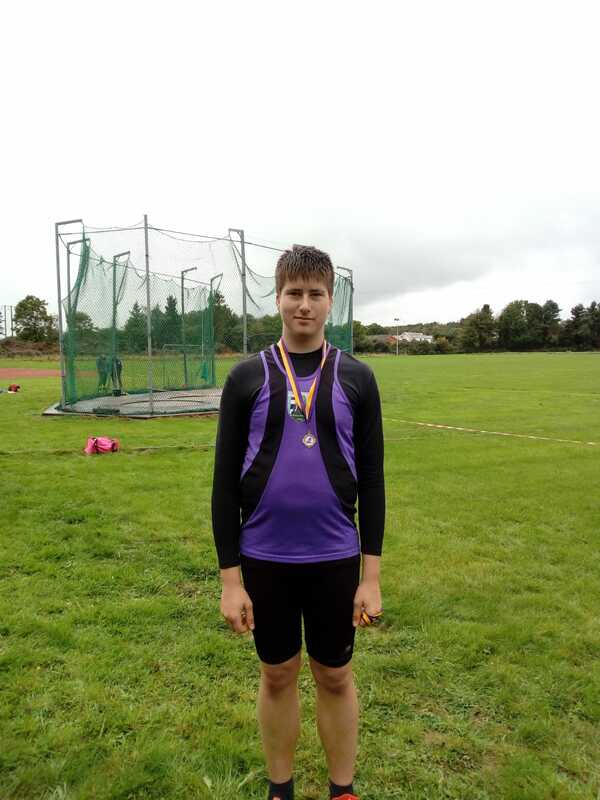 U18 Discus – 1st Lystus Ebosele (DMP) 33.29m, 2nd Éadaoin Stafford (Adamstown) 26.32m. 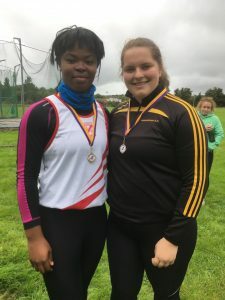 Senior Discus 1st Lystus Ebosele (DMP) 36.73m, 2nd Éadaoin Stafford (Adamstown) 27.07m, 3rd Amy Forde (St Killian’s) 26.19m. Senior Hammer – 1st Amy Forde (St Killian’s) 32.79m, 2nd Bronagh Hanlon (Taghmon) 28.03m, 3rd Laura Halpin (Menapians) 16.24m. 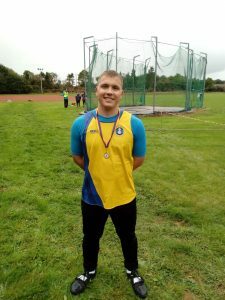 Tagged County Wexford T&F Championships, County Wexford Throws Championships 2018. Bookmark the permalink.